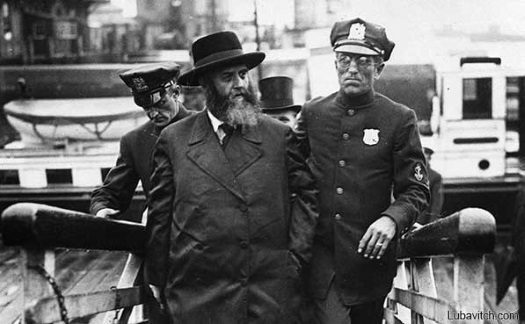 In a letter discovered several years ago and published in the most recent volume of his Igros Kodesh, the Frierdiker Rebbe responds to a student who asked the Rebbe to tell him — clearly and unambiguously – what the Rebbe asks and demands of him. You ask in your letter that I should tell you unambiguously what I demand from you. As I have already told you, one’s outer appearance must match his inner self. a Jewish home. As is the case with every mitzvah, the mitzvah of mezuzah must be fulfilled as a chok, because Hashem so commanded. However, there is another, spiritual intent [to this mitzvah]. Affixing a mezuzah to the door of a house demonstrates that the house and all its contents are associated with G-dliness. 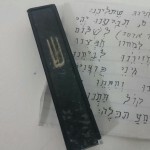 [Accordingly,] removing the mezuzah is an expression of one’s desire to throw off the yoke of Heaven. The same is true regarding a beard. Besides for being a specific mitzvah, it is like a mezuzah, declaring that this is the kind of person who fulfills Torah and mitzvos with extra care. surrounded, if not with an iron barrier, with a wooden fence that protects it from thieves, bringing [the potential thieves] distress and apprehension. Those who cut their beards, on the other hand, are like a house standing in the field, an easy target for thieves. To view the original Hebrew text of this letter as it appeared in the Igros Kodesh of the Frierdiker Rebbe in PDF format, suitable for use as a flier, please click here. Sefer Hadras Ponim Zokon / by Rabbi Moshe Wiener / The Cutting and Growth of the Beard in Halachic Perspective / Published with the Endorsements of the Leading Halachic Authorities of our Times / 1,024 pages (in expanded third edition). Thank you for this article. It will surely have a positive effect on someone. We all need a bit of encouragement and reminder with regards to issues of chassidishe nature and simple halocho.